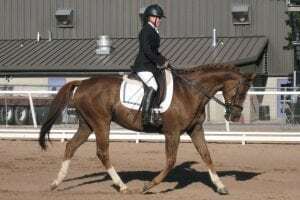 My beautiful Teddy winning at the Dressage after a makeover with the Solocomb. "Having tried other Rakes on the market, I have to say your SoloRake is the best!! The twin head blade design is perfect for all my 20 horses, in particular the Cobs who have very thick manes. I still use my Solocomb that I've had for years, what a great invention." "The SoloBrush was a complete surprise. I used it on my horses today and it is a lovely tool. I would like to say that it is rare today to find the excellent customer service that you have given to me. You may rest assured that I will pass my excellent experience of your company to my friends and acquaintances in the horsey world. Should the opportunity arise to tell the wider world of your first-rate company, I will most certainly do so." 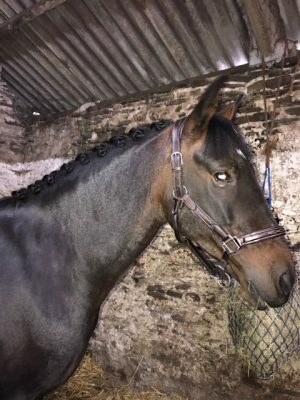 "My horse was at the time of the year when he was moulting for a past-time, hair everywhere! So I tried my new SoloBrush. It has a contoured handle with a Velcro strap which goes over your hand so your hand stays in place and fits snugly around the brush. It is easy to use as it just twists and locks into place. I started to work in circles over my horse with the brush and was amazed at the amount of loose hair that it picked up! When the brush is full, you just untwist the ‘bristles’ and the hair just falls off – no more annoying picking hair out from in between bristles like you do with a curry comb! The bristles reach through the hair and down to the skin, which my horse really liked ‘cos it was probably like having a mini massage! This brought dirt up from the skin to the surface of the coat so it could be brushed away. All in all I was very impressed with the brush and would definitely recommend them!" "I got my SoloKkit on Saturday and just wanted to let you know that I am very happy with quality and effect. Works wonders on my horses who are shredding a lot these days!" "I will definately be promoting your products! " "The SoloComb arrived today. Thanks very much for supporting the quality of your products. I use it often and the horses (and my fingers) are thankful of the great pain free product. After Christmas I'll get a solorake, as it also appears to be a useful grooming tool. Thanks again." "Thank you! Your company has superior products and it is nice to see a company actually stand behind what they sell offer superior customer service! That is a hard find these days! Again, thank you for sending me a new comb!" "I will let you know immediately upon my receipt of the SoloComb. Thank you for sending another; yours is a very unique company to fully guarantee your product with this type of return service. I certainly appreciate it, and so does my horse!" "My wife's SoloComb is red with a black blade cover. It is a very good tool and my horses mane looks a lot better for a trim. I am very impressed by your customer service. It is rare to find a company as good as you are." 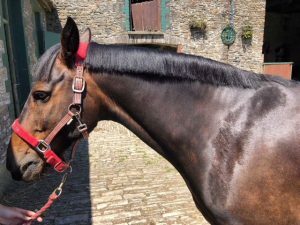 "I have used the new SoloComb on my second horse and the results were exactly as I would expect...a lovely finish. I am very appreciative of your excellent customer service and have been praising your response to my friends." "Your SoloBrush is a great product and I would definitely recommend it. Its really clever and no more dirty brushes yeh!" "Love my new SoloBrush! My horse loves it too! Just love the way the hairs all fall away when I twist it. How clever is that! Will be telling all my friends to go and buy one." "Thank you for the Solo Comb and SoloBrush. The SoloBrush was a complete surprise. I used it on my horses today and it is a lovely tool. I would like to say that it is rare today to find the excellent customer service that you have given to me. You may rest assured that I will pass my excellent experience of your company to my friends and acquaintances in the horsey world. Should the opportunity arise to tell the wider world of your first-rate company, I will most certainly do so." "Thank you for my lovely gift of a SoloKit. Your customer service is second to none and I can’t praise you enough! The brush is absolutely amazing - can’t believe how clever it is. As for your rake, its perfect for removing winter coats. A very happy customer." "Had to write and tell you that I bought a SoloKit last week. Always used your SoloComb but decided to buy the kit this time and I’m not disappointed! Its great having everything in one place and I love your rake and brush which is really clever! Brilliant products. Thank you." "I'm just writing to say how much I LOVE your products. 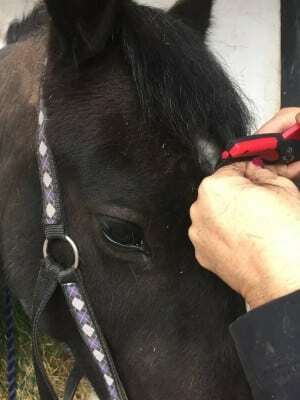 No matter how much people said mane pulling didn't hurt the horse I saw the discomfort in the horse always dancing around and shaking their heads, I even knew a horse that needed sedation just to have his mane pulled. 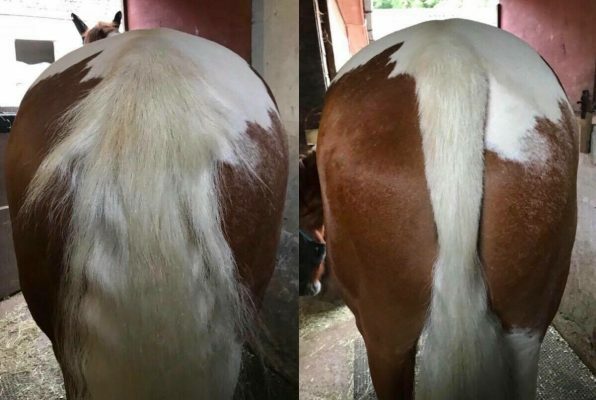 So when someone at my stables first introduced me to the solocomb, I was so impressed at how gentle it was and yet you could still get that traditional pulled look to the mane. I ran out and bought my own, must be about 5 or 6 years ago. Its still a big part of my grooming kit. I used it on all my horses without any problems. Last year while I was a live in groom for an Olympic rider I was shown the solorake. I bought myself the solorake. 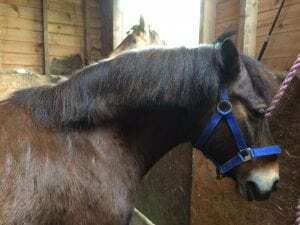 I had bought a few untouched Connemara, all came with long, tangled manes, there was no way they would've tolerated mane pulling as they were so nervous. 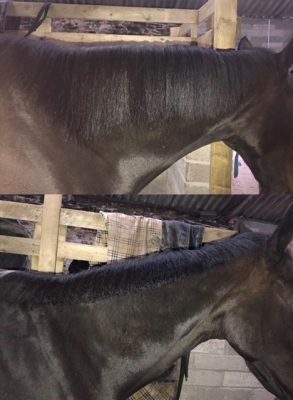 So I went through their manes with the solocomb and solorake, its such a kinder option they let me do my thing and their manes all looked 100 times better when I finished. " 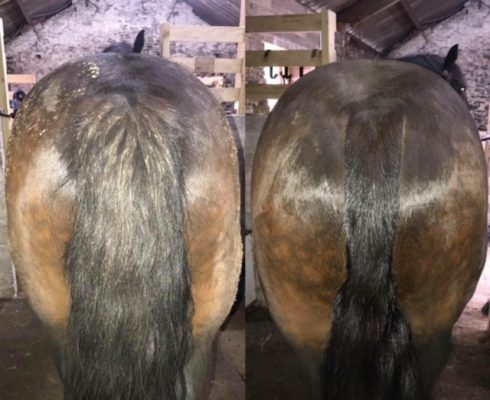 "My hunting mare has a big bushy tail if left unkempt, which is unsightly; I have tried all manner of tail rakes in the past but none of them have stood up to the job and end up in the dustbin after a few uses. I tried a Solorake having been very pleased with their other products in the past and am so thrilled with the results. Not only does the Solorake complete the task in half the time of a standard tail rake, the finish is so much more professional and natural, plus, its so well put together I am confident that I'll still be using it for years to come." "Thank you! I am very impressed with your customer care to say the least! I will look forward to receiving the new comb and will be very careful if I have to installed new blades, to position the 2 fixing plates." "Can I just say, your customer service is exemplary - thank you so much. Will be quick to recommend you." SoloComb Limited acknowledges with thanks the kind permission of Emily Ashcroft to use this photograph on our website. "I used only a SoloComb to achieve this. The mare is a very sensitive TB and can't tolerate "traditional" pulling, however, fell asleep last night whilst I used the SoloComb!" 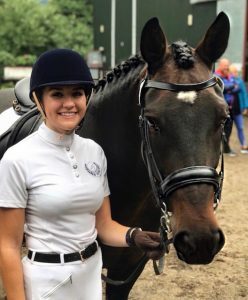 "SoloGroom products make mane and tail trimming so much more enjoyable and stress free for both myself and the horses. 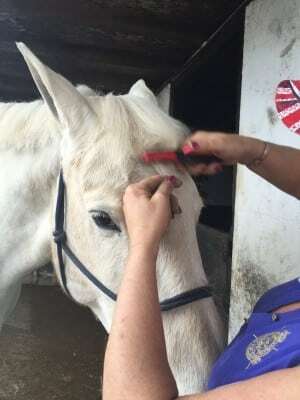 My favourite product has got to be the SoloComb, it is such a clever design that makes mane pulling so quick and easy! 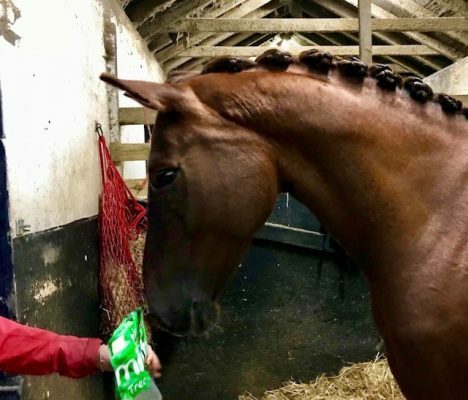 The SoloComb simply 'cuts' the mane at an angle rather than ripping it out, therefore making the experience absolutely pain free for the horses. Manes can be trimmed in half the time it would take using a metal comb and pulling, the SoloComb creates a natural, neat finish. Gone are the days of blistered fingers and fidgety head shaking horses! 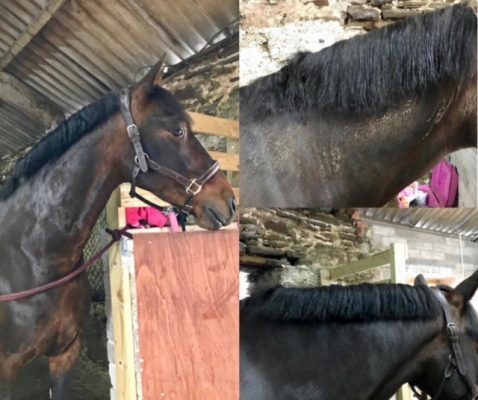 The SoloRake is also a really handy tool to have in your grooming kit, I use it every couple of weeks on my Irish-bred horse's super thick mane! The rake thins out his mane to a suitable thickness and length for regular plating. The SoloRake can also be used on the underside of the horses tail to thin it out - useful for very dense tails that get tangled easily! I wouldn't be without my SoloGroom products, they make a world of difference to everyday trimming with my horses and also my clients." SoloComb Limited acknowledge with thanks the kind permission of Emily Ashcroft to use this photograph on our website. "Emily is from South Wales and runs a freelance grooming business. She owns 2 horses, which she has broken in and produced herself. 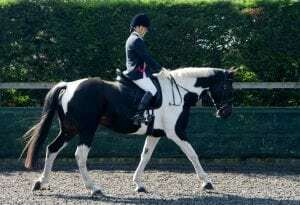 She regularly competes in show hunter classes with 15hh Connemara x ISH Rocky, as well as British Dressage at Novice Level. 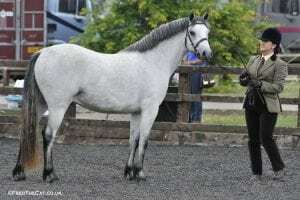 Emily's biggest achievement was being placed 2nd in the BSPS Intermediate Show Hunter Type at Pony of the Year Show (POYS). Emily spends a lot of time trimming manes and tails as well as plaiting between her outings on the weekends and customer visits. Her favourite product is the SoloComb. She would not be without it, especially when trimming up sensitive horses as it is pain free! 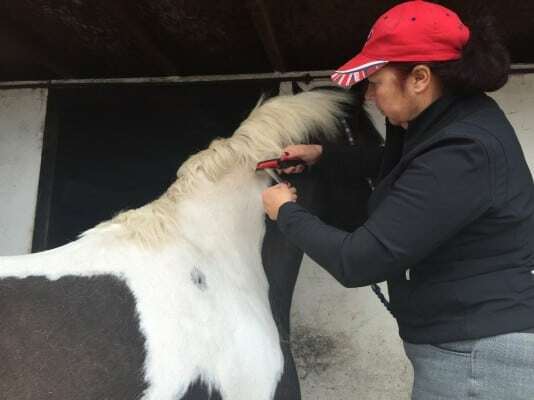 Emily also regularly uses our SoloRake to thin out Rocky's mane and tail as it is super thick, she also uses the SoloRake to thin out traditional type manes to give a neat natural looking finish. Emily hopes to progress with her BD training and compete at Elementary Level next year. " "Would just like to say how very very helpful Solocomb has been. Could not get my comb to work, would not cut. Rang and sent out a new one straight away, had the same problem, then had a thought, washed my horses mane, dried it and bingo it worked. Problem down to me using too much mane and tail conditioner on my horse. They were so helpful and did everything to help me sort it, wish other companies were as helpful. Once again thank you." "I had a lovely conversation with a new client yesterday, she contacted me in a panic - a new horse she had bought wouldn't tolerate his mane being 'pulled' he was in fact acting quite dangerously. She asked me to pop over and show her how to use the SoloComb. She was absolutely gobsmacked when I showed her how easy it was, her exact words were 'what?! that's it? at what point do you pull?' I just laughed.. no pulling involved .. her horse stood there cool as a cucumber with his bottom lip hanging low. The lady was absolutely over the moon - she had been battling with him for weeks and didn't realise that the SoloComb doesn't pull at all!